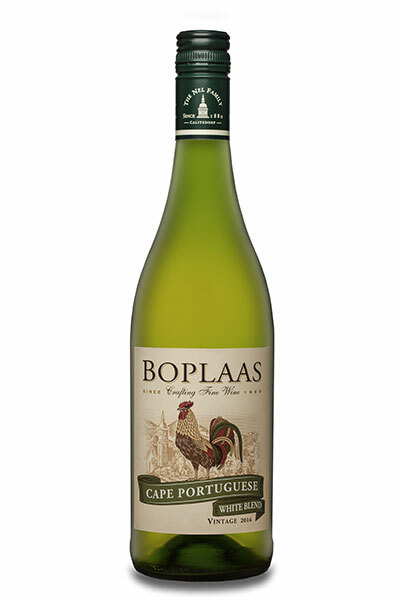 The third vintage of an innovative white blend consisting of Verdehlo – an exotic Portuguese variety; and the perennially popular Sauvignon Blanc and Chardonnay. Harvested by hand in the cool of the morning and fermented in temperature controlled stainless steel tanks to maintain the exotic fruit flavours and crisp acidity of this blended dry white wine. Verdehlo’s intense citrus, pineapple and pear aromatics combine with the tropical fruit flavours of Sauvignon Blanc and Chardonnay’s apple and crisp acidity. Hand-harvested in the cool of the morning, crushed and gently pressed, followed by a cool fermentation in stainless steel, prior to blending and bottling. Enjoy chilled, in good company & enjoying another glorious African sunset.